McKinsey, Bain, and BCG look for specific traits in consultants. After years of working with candidates that go to MBB firms and other consulting firms, we’ve noticed something. McKinsey, Bain, and BCG look for something different in consultants than other firms. Here’s a hint: clarity of focus is the number one. As a group, management consultants are some of the most well rounded professionals in the world. Succeeding in the consulting world requires a wide range of skills, especially at the top firms. Those skills – across 100 or more consulting firms – are largely transferable, and they look very much the same. But what makes McKinsey, Bain, and BCG different? A commonly asked question amongst candidates is this: what do McKinsey, Bain and BCG look for in consultants? Though there are seemingly countless qualities that consultants need to succeed in the industry, we have distilled them down to the top 3 most important ones for MBB specifically. When you’re solving any business problem as a consultant, there will be an endless number of ways you can approach a problem. There are also mountains of data and information that will come your way as you dig deep into the issues. As a result, one of the hallmark qualities of a good McKinsey, Bain, or BCG consultant is the ability to prioritize the right things at the right time. One term MBB consultants often use to explain this mentality is the “80/20 rule.” This principle states that 80% of your results in any activity will come from just 20% of your efforts. Essentially, there are certain actions and things you can focus on (the 20%) that account for most of your results (the 80%). Of course, the numbers aren’t always 80/20, but what’s important to understand is that there is a lopsided ratio of efforts to results. McKinsey, Bain, and BCG look for consultants who are able to identify and focus on the 20% actions needed to successfully solve a client’s business issue. Arguably, given enough time, any smart person with the right business background and training could come up with a solution to a client’s problem. 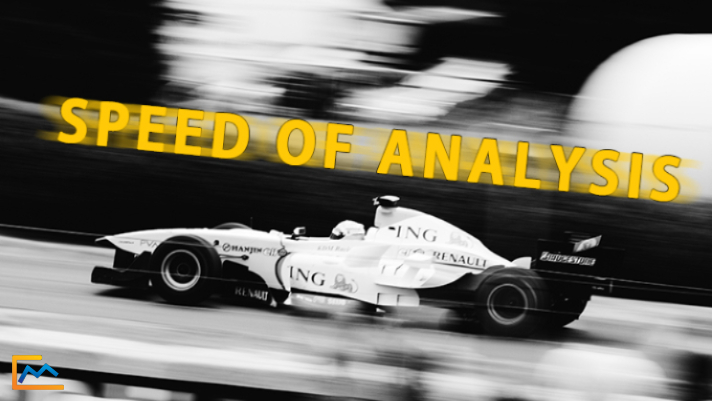 What makes McKinsey, Bain, or BCG consultants different, however, is the speed with which they can get to their analyses or insights. In other words, great MBB consultants don’t just excel at focusing on the important 20%; they also are extremely quick to get to what’s important. A lot of this comes from experience. Earlier on in your career as a consultant, accuracy is more fundamental and important than speed. As time goes on, consultants start to recognize patterns and are able to get to their analysis more quickly. But some of it, arguably, is attributed to culture – mentorship and expectations are different at MBB firms than at Big 4 firms like Deloitte. That close mentorship – constantly being pushed to speed something up, answer the question first, or expedite the data analysis – helps focus consultants at McKinsey, Bain, and BCG. Speed is important in an MBB client setting because of the pace of business. Things change rapidly on a day-to-day or even hour-to-hour basis. As a result, consulting projects tend to have relatively tight deadlines that require quick analysis and insight. After focusing on the right things and gathering insight quickly, the last important thing McKinsey, Bain, and BCG look for in consultants is confidence in recommendation. Oftentimes, this means having the right analysis backed by the right data. With the two of those components combined, good MBB consultants have no problem being confident in their recommendations. Confidence is crucial for McKinsey, Bain, and BCG because at the end of the day, that is what clients are essentially paying a premium for. Clients are looking for strong and knowledgeable guidance from experienced professionals as businesses navigate through their issues. If consultants provide shaky recommendations that could potentially impact the lives of thousands of employees and customers, there is no point in paying them. Just as you would want a confident general leading you into battle, clients need confident MBB consultants to help them get through their problems. McKinsey, Bain, and BCG look for specific traits in aspiring consultants, and they test them in MBB case interviews. The keys to success in the case interviews for McKinsey, Bain, and BCG are the same as they are on the job. First, you need to have clarity of focus in a very high-level MBB way. How do you demonstrate that? Build strong structure. Prioritize your structure. Be comfortable not focusing on everything so you can focus on the most important things. Second, you need to have speed of analysis and insight to succeed at a McKinsey interview, or a Bain interview, or a BCG interview. When we train aspiring consultants, we time them. We tell them when they are taking too long (it’s almost all the time). Our coaches push them to speed up, to get to the point. We push them to build a case interview hypothesis. Finally, you need to have confidence in your recommendations to succeed in MBB case interviews. That starts with math insights, as you narrow the case to key recommendations, and ends with a final recommendation. An unacceptable ending for a McKinsey, Bain, or BCG project would be “We aren’t ready to make a recommendation.” You need to come out boldly and make a choice – even if you are uncomfortable. Whether you are an aspiring consultant or a seasoned consultant at McKinsey, Bain, or BCG, you can always work on these three important skills to better serve your clients. If you master these three areas, you’ll find the vast majority of your work in consulting to be a success.